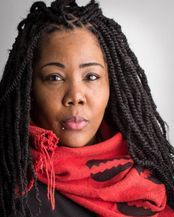 Writer, poet, educator and activist Audacious IAM was recently named Greater Bay Area Teacher of the Year by Youth Speaks (2016), nominated for an Oakland Innovative Artist Award (2017 - 2015), a 2016 National Queer Arts Festival of San Francisco Grant recipient, named Best Literary Works of the Year (2010) and is also a founding member of the Spoken Word Collective Pr3ssPlay Poets. Audacious is the creator and chief-editor of the anthology, Blues Arrival: Stories of the Queer Black South & Migration. Audacious IAM was born and raised in Ruleville, Mississippi and now resides in Oakland, California. She holds her BA Degree from Rust College and MFA Degree from Mills College. 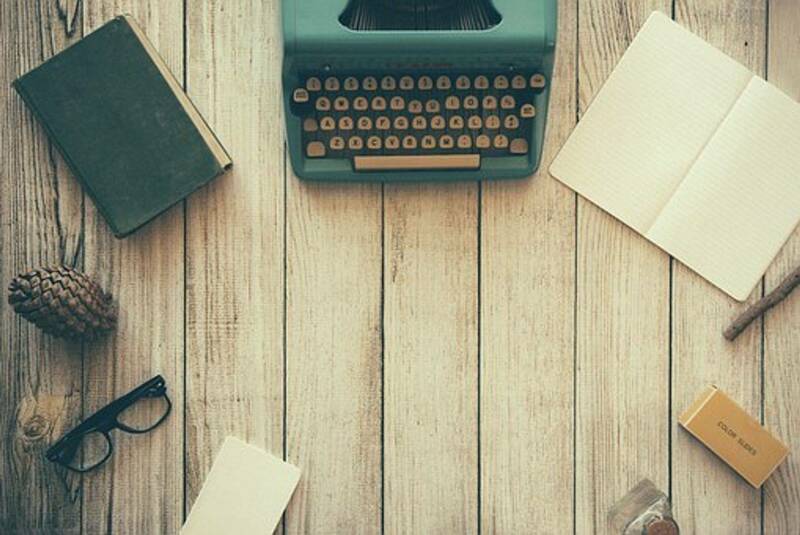 Currently works as a Literary Arts faculty member and Poetry Slam Team Coach at the Oakland School for the Arts High School she is in love with teaching and assisting young people with navigating the world of creative writing. 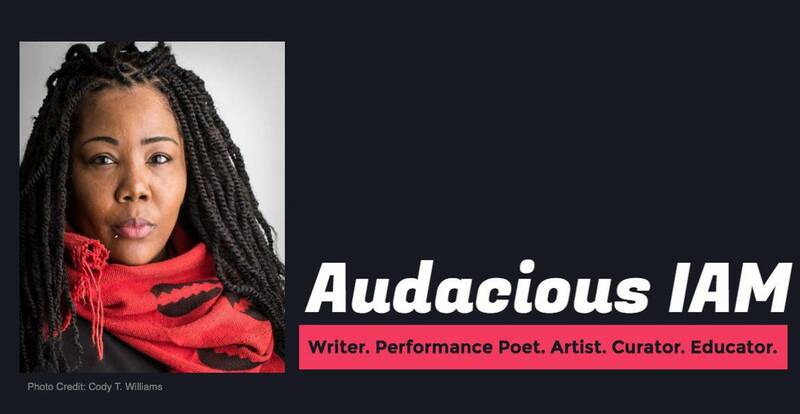 Audacious IAM has shared the stage with writers such as Sonya Renee Taylor, LadyB Smoove, Nicole Klaymoon, Mona Webb, Prudence TheAuset, Natasha Carrizosa, Trey Amos -as well as artist such as R&B Diva Monifah, Valerie Troutt's MoonCandy, Kevin Sandbloom, Blue Nertiti of Les Nubians and more! Her art is exhibited through words on the page, performance and film in the attempt to transform, dissect and explore the intersection of blackness, queer identity, fragility and being a woman in America and beyond. As a queer black female artist, she has given and hopes to continue to provide her community with a platform for dialogue, social change and transformation through artistic creation. Her work has been published by Cooweescoowee Literary Journal (Coming 2018), Black Napkin Press (2017), For Harriet.org (2016) and The Womanist Journal at Mills College (2012). Audacious is by far a woman in constant transition. 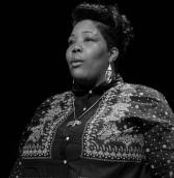 I have watched this woman in Dallas,Texas become a pillar of the poetry community and without hesitation dropped all that seemed to be in her favor and say, nope, I have something more calling me. Audacious has been taking leaps of faith and soaring from the very day I met her. The youth of today should know how lucky they are to have a true teacher such as she.